Dr Saldanha is a board-certified Orthopedic Surgeon with additional fellowship training in Adult Joint Reconstruction and Orthopedic Trauma. Following completion of his orthopedics training, Dr Saldanha volunteered for deployment in Afghanistan in support of Operation Enduring Freedom. While serving he also founded the first orthopedic humanitarian clinic treating women and children displaced by the war. After returning to the United States Dr Saldanha served as an Orthopedic Traumatologist, training active Duty Airmen in war trauma techniques and assisted in the development of the Sustained Medical Airman Readiness Training program at the 99th Surgical Operations Squadron in Nellis Air Force Base, Nevada. From 2013-2016 Dr Saldanha was an Assistant Professor of Orthopedic Surgery with the University of Nevada School of Medicine and completed further education in complex Adult Reconstruction under world renowned surgeon Anthony Hedley. Dr Saldanha is actively involved in orthopedic research. He is an associate editor for the International Journal of Advanced Joint Reconstruction and has published numerous articles in peer reviewed journals. Dr Saldanha is expected to complete his master's in business administration in 2019. Dr Saldanha has received several awards including Meritorious Service Medal, Airforce Commendation Medal, induction into the American Orthopedic Association -Emerging Leader Program, and the Alpha Omega Alpha Medical Honor Society. Member: Orthopedic Trauma Association, American Academy of Orthopedic Surgeons and Society of Military Orthopedic Surgeons. 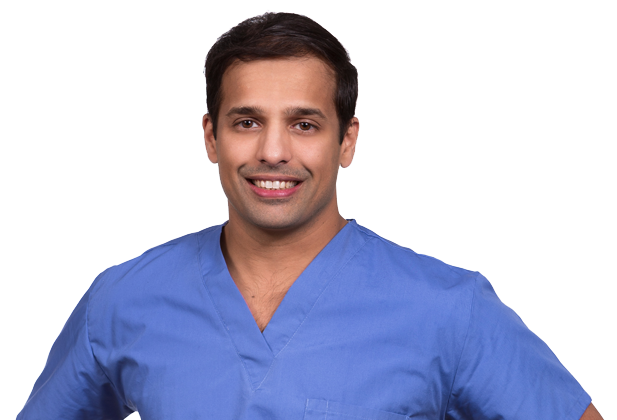 Dr. Saldanha is seeing patients at our Northwest Austin and Round Rock Texas Orthopedics locations. To schedule an appointment with Dr. Saldanha please call 512.485.0538 or click here to request an appointment online.